I slapped my father hard, a clean open-fisted slap that sent his bifocals skidding across the kitchen floor. It was the culmination of my accumulated rage against that man. It was a reaffirmation of the difference between us, of the vow I’d made to never, ever become anything at all like him. It was complete rejection, without hesitation. It was a vow often repeated but first intoned when I was eight years old, the morning after "The Dream." It was a dream that would both instruct and haunt me for the rest of my life. In "The Dream," I saw my parents as I’d often seen them late in the evening, from behind a canvas shade pulled down to cover the glass-paneled door that separated my tiny bedroom from the family room where they spent their evenings watching television. My makeshift bedroom was originally a den. Although their house was built by an architect, it was not designed for two children. I was the second child. By curling the edge of the shade back a bit with my thumb and forefinger, I could watch television shows that were on past my bedtime, and I could watch my parents. I discovered my mother smoked. She had never, ever smoked in front of me or my older sister, and especially not in front of her parents who lived next door, who would have been horrified. I also saw my parents drink. 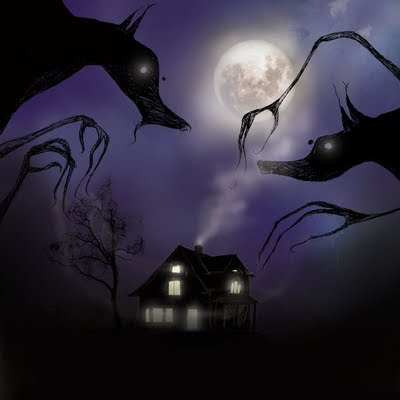 Sometimes they filled the house with strangers who talked loud and drank and talked louder and drank more and filled the house with smoke and loud frightening laughter surrounding and invading my tiny dark room. My parents acted gracious and kind when observed by others, but alone at home they were troubled and angry. I was often jolted out of sleep in the middle of the night by the sobbing and screaming of my mother, by the anger and accusations shouted by my father. I knew this meant I would be severely disciplined the next day for the smallest transgression. I would be hit. It might be a slap across the face, a spanking or repeated blows during the frenzy of unharnessed rage. I spent most of my younger years assuming guilt, wondering why I was such a bad child, deserving of so much punishment. But as I grew older, I developed a growing awareness I was not really the cause of their anger, just the excuse. I was standing next to the glass-paneled door in the dark of my room and pulled back the shade just enough to see my parents turning off the television. They began pulling at their hair until finally, with great effort, they pulled off their human masks, revealing their true faces—the faces of wolves. After removing their clothing, they were fully transformed. They snarled and snickered as they walked on four legs toward their bedroom and out of my sight, malevolently amused at their success in hiding their true identities. The next morning I vowed I would never give in to these wild beasts, these devourers. I would fight them. I would defend myself. I knew their secret.